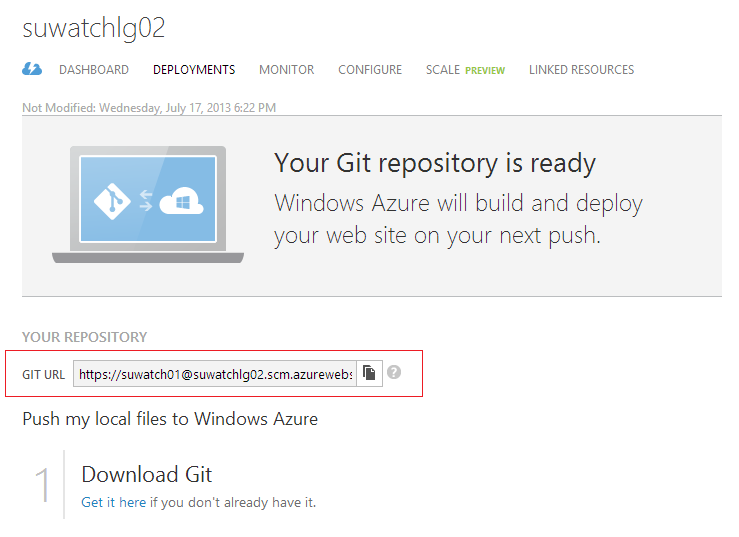 Azure Git deployment provides source control and versioning deployment. The benefit is the ability to get the history of deployments and to rollback to any point in history. If you have existing WebSites which is deployed by other means such as WebDeploy (Gallery) or FTP and want to enable Git publishing over those deployed files. You can achieve it by the following. Step 1 Enable Git Publishing on your site. Logon to Azure Portal, select your site and navigate to the Dashboard. 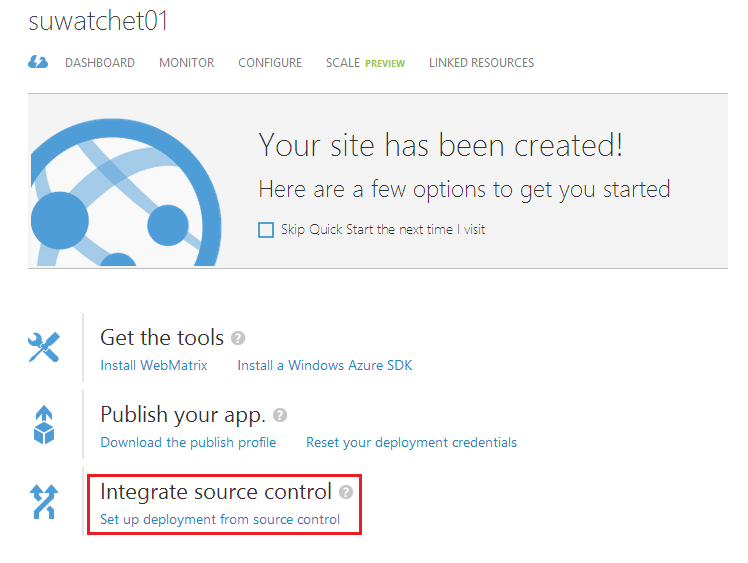 Click "Setup up deployment from source control" and double click "Local Git repository"
Your site is now Git enabled. You can now download (clone) the content of your site to your local machine. This is done by simply using git clone command. 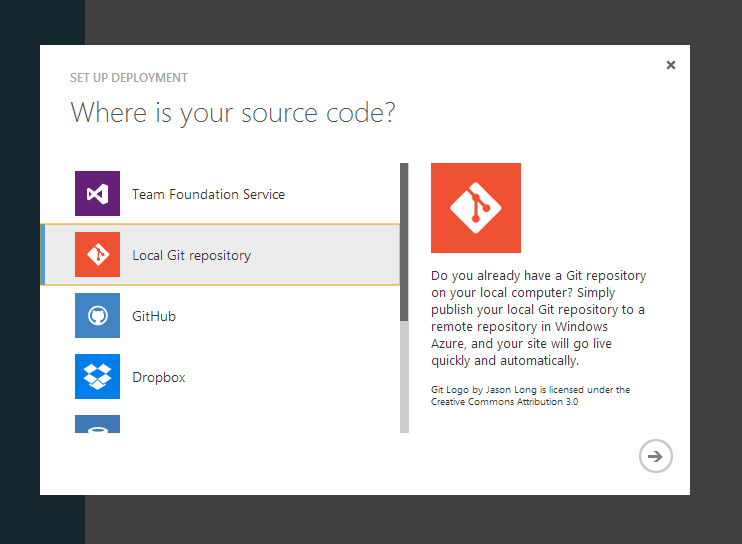 The Git URL for your site can be found on the Deployments page. That's it. After the clone is done, you can modify local files, git commit and deploy (git push) to your site.